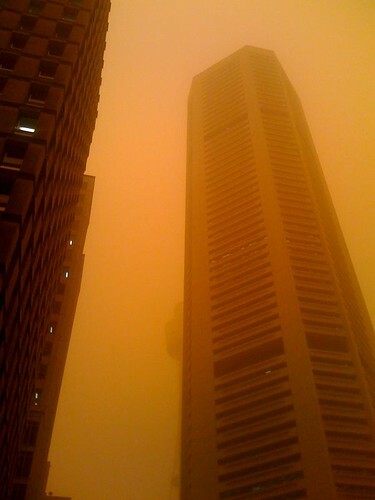 I've never seen a dust storm in Sydney before but this morning's sunrise was amazing - Sydney turns red: dust storm blankets city. 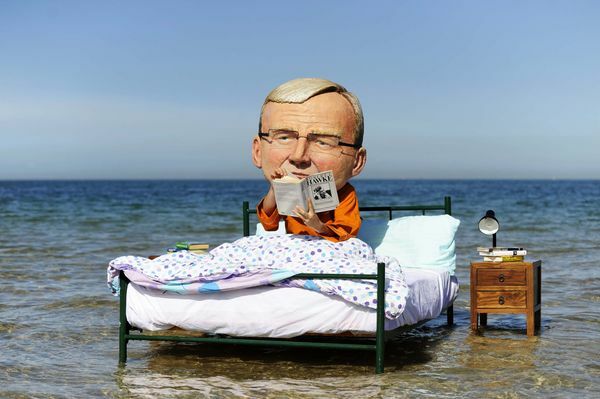 Callers flooded talkback radio, others hit social networking sites and scores of emails were received from smh.com.au readers as Sydney residents expressed their amazement at this morning's conditions. 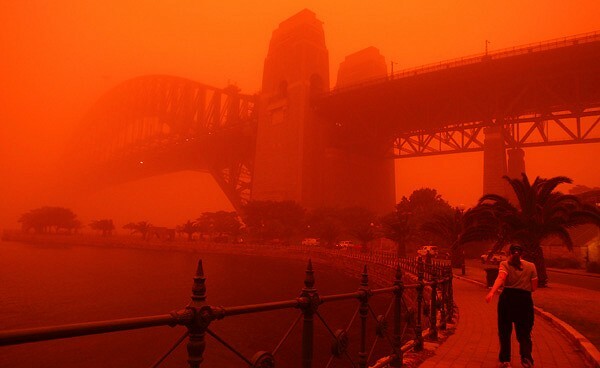 "It's just red, red, red as far as you can see," one caller at the Anzac Bridge told 2GB. 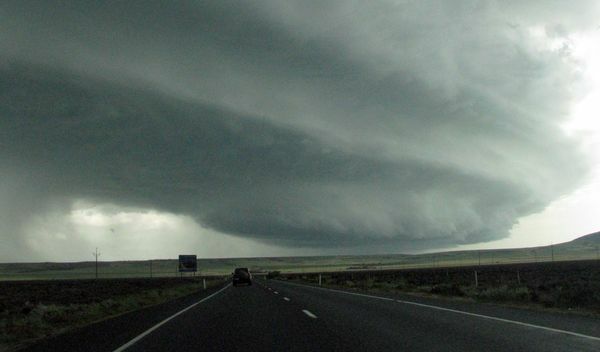 "The reason for the dust is we had some really strong winds in the inland areas of NSW and in South Australia for a sustained period yesterday," said Bureau of Meteorology senior forecaster Jane Golding. "That's lifted a whole lot of dust off the ground because it's quite dry out there, many of those areas are still drought affected."